Don’t let the blazing summer’s heat get to you. Bring home the Bajaj DC 55 DLX air cooler and make your home a haven of calm by maintaining a cool temperature, all day, all through the summer. 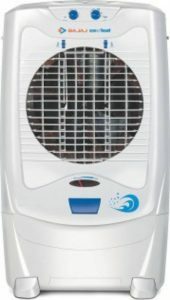 Now you can buy Bajaj DC 55 DLX Desert Air Cooler (White, 54 Litres) at Rs 5555 only from the Flipkart Big Billion Days Sale. Get ready and take it in a jiffy when it goes live. How to buy Bajaj DC 55 DLX Desert Air Cooler ?